Mr. Smith Casino – One of a kind! Be unique to win extra cash! Especially from 28th to 29th December 2016 at Mr. Smith Casino where a unique deposit value will net the lucky winner a whopping £350 in extra cash. Plenty to have a big splash of bubbly on New Year’s Eve. Mr. Smith is looking for the smallest single deposit in whole pounds above £10 that nobody else has done within these two days. Could be £11, £28 or £37, we will know it on 30th December when the winner is revealed. There will be an additional 50 players scooping up 50 Free Spins on Secrets of Christmas. 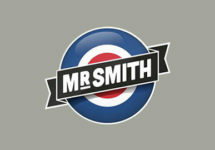 Yet another cool promotion from the current Christmas Calendar at Mr. Smith Casino. Starting 1st December they surprised with some very original ideas on how to reward their loyal players during the festive season. We have seen bonus hunts, mission tournaments, no-deposit Free Spins, generous Reload Bonuses, Free Spins on deposit, wager races and all was geared toward making them accessible for all kind of players to fit every budget and taste. Big kudos to the team at Mr. Smith. 28th – 29th December 2016 – One of a Kind! The player who will make the lowest unique deposit in excess of the minimum £10 will win £350 in hard cash, no wagering requirements. All deposits from 00:01 on 28th December to 23:59 GMT on 29th December 2016 will be taken into account as long as they exceed the minimum value and the player has opted-in on the promotion page. The winning deposit will be the lowest whole amount deposited in a single deposit that no one else has deposited during the 2-day period. The winner will be announced and the prize credited on 30th December 2016. Additionally every single deposit will earn one ticket to a Raffle where 50 players will win 50 Free Spins on Secrets of Christmas. These will be credited on 30th December, by 13:00 GMT and the winnings from them will have a 35x wagering. Remember to read the Bonus Terms and Conditions before you start playing. Launched in 2014 the casino is operated by BML Group Ltd. under MGA Malta and UK licenses. The games are available on Desktop and Mobile coming from a list of well known suppliers such as Netent, IGT, Microgaming, Quickspin or WMS with the LIVE Casino tables being provided by Netent and Evolution Gaming. Currency is GBP and the site in English only. The usual array of deposit methods such as credit/debit cards, Neteller, Skrill, Paysafe Card and Bank Transfer ensure fast and secure deposit and withdrawals. Customer Support is available 24/7 via Email, Live Chat and Phone. 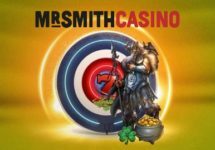 Mr. Smith Casino – Daily Boosts | Week 27! Mr. Smith Casino – World Cup Bonus Spins! 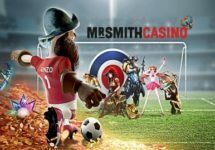 Mr. Smith Casino – Daily Casino Boosts | Week 23!